It’s easy to have perfect skin on Instagram. With one tap of the finger you can literally obliterate years of sun-damage, lines and wrinkles, acne scars and even freckles. In real life, however, the quest for perfection requires a little more effort. If you weren’t lucky enough to be born with flawless, porcelain skin then fortunately there’s microneedling - a relatively painless treatment with little downtime that’s highly effective for smoothing and refining your complexion. Microneedling involves slowly gliding an automated device such as the SkinPen® over the skin’s surface. As the microneedling pen moves along it deploys 12 tiny needles that deliver hundreds of micro-injuries deep into the dermal layers. The magic happens several weeks later. The body immediately triggers a healing response which results in gradual production of natural new collagen at the treatment site. Is Microneedling the Same as a Derma-Roller? Similar but not the same, microneedling penetrates much deeper than a DIY derma-roller device. Therefore the results from an automated microneedling device are not only faster but have a much higher degree of efficacy. The depth of penetration with the SkinPen® can be adjusted (ranging from 0.5 mm to 2.5 mm) based on the conditions being treated, allowing a deeper setting for acne scars or wrinkles for instance. There’s also a higher risk of infection with a derma-roller if the treatment is done on skin that hasn’t been cleansed or disinfected properly before or after the procedure. When it comes to safety it’s best to leave this treatment to the professionals. What Can I Expect Immediately Before and After Treatment? Prior to treatment the skin is thoroughly cleansed and a topical numbing cream is administered to minimize pain and discomfort. Each session takes approximately 20-30 minutes, depending on the each patient’s unique treatment goals. Immediately after the procedure skin will be look mildly sunburned and feel dry and sensitive. After 48 hours most redness will subside and patients will be able to resume their daily activities. Additionally, your technician will advise you to stay away from UV rays and harsh or irritating skincare products for 48 hours. A physical sunblock is recommended for the next several weeks as the skin heals. Post treatment care is just as important as the procedure itself. For optimum results a healing keep ointment or gel is recommended to protect the skin from dirt, pollution and the elements. After 48 hours patients can incorporate anti-aging products such as Vitamin-C serum and Retinol daily to boost collagen synthesis and help the skin regenerate even faster. Maximum results occur after 30 days. That’s when the skin has fully recovered and new collagen has started to form around the microscopic injury points, giving the skin a healthier, smoother and more plump appearance. 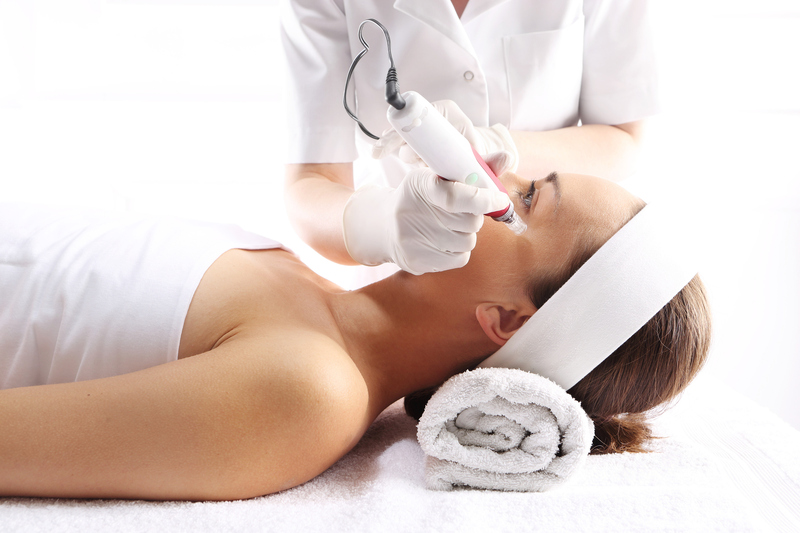 For deeper skin concerns such as acne scars or wrinkles several treatments are recommended. In fact, it may take 3-5 microneedling sessions to see a satisfactory improvement in these conditions. Microneedling is generally safe for most skin types and ethnic backgrounds. Contraindications include patients with an active skin infection (such as herpes), severe cystic acne or predisposition to keloid scarring. It’s very important to have your treatment done at a reputable clinic and by a fully trained professional to prevent any complications.